Looking for quick tips for your job hunt? Looking to build your connections? 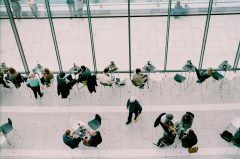 Attending a career or networking event? Looking for jobs in the government? Target your job search! Use Getting Started on Your Job Search to identify your interests, skills, and values to find employment that is meaningful for you. Where are jobs most commonly found? Check 4 Stages of a Job Posting and the Job Seeking Hiring Pyramid. Did you know that most jobs are not posted online? 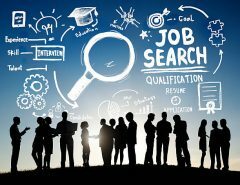 Learn about the The Hidden Job Market here. Check out the City of Ottawa e-Blue Book which provides a list of services in the city to help you identify places you may be interested in. Learn how Volunteering can kickstart your career. Curious about being your own boss? Self-Employment & Entrepreneurship can be an extremely rewarding way to make a living! Take the Entrepreneurial Potential Self-Assessment by Business Development Canada (BDC). Did you know that 80-85% of jobs are not advertised? Learn more by checking out our networking resources below or ask us in person during our drop-in hours. There are many options when exploring summer employment. Check out our Summer Employment Programs Guide. Get started with learning What is Networking? and why it’s important. Read Make the Most of Networking Events to prepare for events such as career fairs, networking nights and employer recruitment sessions! Organize your connections using the Networking Timeline. Use the Writing an Approach Email template to connect with industry professionals and potential contacts. Connect with professionals and learn about your career options by conducting Information Interviews. Prepare and get ideas using the Sample Questions for an Information Interview. Make a great first impression by creating your own professional Networking Cards to use when connecting with employers at events! Want to stay up-to-date on upcoming events? Check out our Events page or view our Calendar on mySuccess! LinkedIn Profile Checklist and Tip Sheet provides an overview of the basics of a LinkedIn profile and what to include. Use LinkedIn as a networking tool to build your professional connections Networking Effectively Using LinkedIn. Find more resources such as additional tip sheets and videos at LinkedIn for Students. 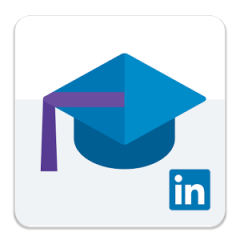 Download the LinkedIn Students app for iOS or Android to get a head start on exploring your career options. Looking for work in Canada? Check out this Guide for International Students. Visit our International Students page to find information on our workshops, programs and services specially designed for international students! Do you want to work in the government/public service? Check out our guide for Public Service Recruitment! LinkedIn is the world’s largest professional network which helps you stay connected with your peers and colleagues, stay informed on opportunities at your favourite companies, as well as follow industry and career trends. 10 Minutes With provides you with both job postings and video recordings of professionals speaking about their career experiences (sign up with your Carleton University email account to access a wider range of content for free). Ten Thousand Coffees provides you with the opportunity to browse your community by industry, organization and location and connect with individuals or groups for insights and advice over a cup of coffee.